Last year John Valters Paintner wrote an article for aae.ie on the creative melting pot in Galway. Recently we had a catch-up with John to further discuss The Theatre Room’s inception, their pitching events, recent awards and future projects. Can you tell us more about The Theatre Room, and when it was founded in Galway? The Theatre Room started just over two years ago. Luke Morgan and Seosamh Duffy were inspired to start writing and performing one-act plays in their living rooms. They wanted to start creating art without the hassles of a full-length production in a traditional theatre setting. So, they got some other friends together and just went for it. Some people wrote scripts, other people volunteered to direct them, and everyone pitched in to act. In the first several months there were very small audiences of mainly the people involved in the one-acts, and maybe a dozen other audience members. It was very intimate, very up close and personal. From there, The Theatre Room was asked to participate in a couple of local festivals; and things took off. We’ve performed over a hundred original one-act plays in a variety of non-traditional venues in and around town. Where and when is your next pitching event, and what will it involve? The Pitching Sessions happen immediately following the monthly performances, which are held on the last Monday of the month. The next one will be on Monday, April 24th in The Claddagh Arts Centre at 7pm. After the plays, writers who have submitted a script the week before stand up and give a brief description of their play. If someone is interested in directing the play, they put up their hand. Not every play is picked up. But many times more than one director will volunteer for a play, at which point the would-be directors have to pitch themselves to the writer. The writer has to choose one director before we move on to the next writer. Once all the plays have been pitched or a maximum of eight plays have been picked up by directors, it’s time to start the auditioning. Writers and directors have a few minutes to talk, before anyone wanting to act in the following month’s performance can start auditioning for as many plays as they want. However, we ask that actors only accept roles in one play, to insure maximum participation. Where can readers find more information about the workshops? Information about our monthly workshops are on our website (https://www.thetheatreroomgalway.com/) and Facebook page (The Theatre Room). Are there opportunities for participants to give each other feedback, resources and tips on writing scripts, directing, acting, etc? Normally workshops have been split into ones for Writing and ones for Directing/Acting. But this last month, we combined the workshops where we did table reads of two scripts by volunteer directors and actors. Afterwards, everyone present was able to give feedback and discuss the writing, directing, and acting. Everyone got a lot out of this format and we will be repeating it in the future. The Theatre Room has always been a collaborative effort with writers, directors, and actors all working together to give each other feedback and encouragement. Outside the workshops, writers will exchange scripts and meet to give each other feedback. It’s easy to make new friends and network with other people in the Theatre Room. Many congrats on your recent awards – the EPIC award 2017 and the JCI TOYP nomination! Awards in the voluntary arts are, of course, so important for highlighting community initiatives; and all of the hard work that goes into running workshops and organising events. What do you think are the most important outcomes of your monthly theatre events for the participants, and for the audience? Thank you. While we certainly don’t have anything against traditional theatre (most of the committee members and regular participants are actively involved with a number of local theatre companies and productions), The Theatre Room strives to make theatre more accessible. We’ve stripped back many of the elements and compressed the normal time schedule. We’re creating theatre for and by people who may not regularly attend plays or be involved in making art. It’s also a great way for regular artists who are between projects to get involved with something on a month-to-month basis. The shows are always free (although donations are gladly accepted to cover unavoidable expenses) and are often curated in non-traditional spaces (homes, pubs, shops, etc.). You recently made a video on audience reactions at your games-themed event in March. What have been your favourite audience reactions from plays this year? I won’t embarrass them by naming them here, but there are two Theatre Room regulars who I’m always extra glad to see in the audience because they have such great, genuine laughs. People should pay them to go to shows. But since we usually have such a variety of genres each month, and because of the intimate settings, it’s always such a thrill to be surrounded by an audience that is laughing with joy and gasping with amazement, and even crying with empathy for the characters on stage from one play to the next. However, my favourite audience reaction was at our first year’s award ceremony. We started the show off with a skit that involved someone acting drunk and arriving late. After the second of several planned “interruptions,” a young lad of about 10 turned to the actor and shushed him. The young man was seriously annoyed that an adult was being so rude. I loved it! Do you curate musical or interpretive dance events? The Theatre Room is not focused on musical theatre or dance, but we have had at least one movement piece and one musical. Neither were specifically written as such, but the directors had some creative ideas on how to utilize the scripts and the writers were up for it. And September’s theme is “Musicals,” so it’ll be fascinating to see how that is interpreted by everyone. Do you collaborate with other theatre community groups in the west of Ireland? We’ve been involved in the Galway Theatre Festival and the Colour Fringe Festivals, and in dialogue with many local theatre people through the Theatre Café and other venues. The small Galway theatre scene overlaps and we love networking with other people. There’s just so much wonderful work being produced all the time. President Michael D. Higgins recently opened The O’Donoghue Centre for Drama at NUI Galway. This will, of course, be a fantastic venue for Galway City’s theatre community. What other facilities would you like to see in Galway in the next few years? More theatres are needed for the many talented people working in Galway. But just repurposing vacant space in town for meeting and rehearsal space would be greatly appreciated. There are too few spaces for groups to meet and rehearse in. And the ones that Galway does have are either overbooked or too expensive for up-and-coming artists. What changes do you envisage for community theatre in the next few years, particularly in the lead-up to ECoC 2020? I’m not sure it’s so much change as improvements to the great work already being done. Already, there have been more opportunities to meet and network with other artists, to learn from and support one another. Who makes the costumes and props for The Theatre Room? Costumes and props are up to the directors. Since we don’t perform in traditional spaces (often without lights or curtains or sets), we make do with what we have. Regular writers try to keep these limitations in mind and our directors are very ingenious. We also crowdsource most of what is needed. (You’d be surprised what Galway people seem to have in their homes.) One of our regular participants has a growing costume collection that he offers each month. Do you have any fundraising events in the pipeline? We ask for voluntary donations at each performance and are always on the lookout for grant opportunities. One of our committee members is specifically tasked with addressing fundraising, as we do run into costs. Do you curate events for plays in Irish? We’ve had several bilingual plays, including Irish. But we haven’t held Irish only plays, yet. It’s that time of year again – Galway Theatre Festival! What highlights are you looking forward to this week? This is what I’m beginning to refer to as “Galway Problems” – too many talented friends involved in too many great shows to be able to see them all. To make matters worse, my job (which I love) conflicts with a lot of performances the next couple of weeks. I’m sorry to have to miss How to Stop the Sea, The Shadow of Camilla, Lady Justice, Forgive Us Our Trespasses, and both Macnas performances that are part of the GTF, as well as Little Cinema’s ‘One-Take-First-Take 5-Minute Films’ (where one of my Theatre Room plays was remade into a short film) and Fregoli’s ‘Fruition’ showcase (which is part of the Cúirt Festival). Are there any other projects you’d like to mention? The Theatre Room Galway is working on a couple of upcoming projects: The Theatre House (several one-act plays all happening simultaneously in different rooms of the same building, allowing audience members to wander around and decide what order to see things); The Theatre Roadshow (where we’ll flip the norm once again and bring the one-act plays to audiences outside the city), our Musical theme for September, and the Green Leaf Theatre (focusing on climate change) are all in progress. Fantastic! Thanks so much for taking the time out to talk to us, John. Thank you for this opportunity to share a little of what we do each month at The Theatre Room Galway. 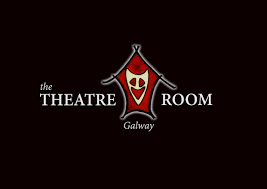 And please keep up to date with our latest endeavours by following up on our website (https://www.thetheatreroomgalway.com/) and Facebook page (The Theatre Room). Gardening tips from Eoghan: Never, Ever, Ever mow your lawn. I just want to mention I’m new to blogging and site-building and absolutely liked this web blog. Probably I’m going to bookmark your site . You certainly come with tremendous posts. Regards for revealing your blog. Thank you for sharing superb informations. Your website is so cool. I am impressed by the details that you have on this website. It reveals how nicely you understand this subject. Bookmarked this web page, will come back for more articles. You, my friend, ROCK! I found simply the info I already searched everywhere and just could not come across. What a perfect site.